I started my first play-by-play job 25 years ago this week, and it was a move I don’t think many would make. 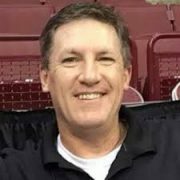 I started in the broadcasting business at the ripe old age of 19, having been given the “reigns” of producing a five-hour sports talk show at WBNS-AM, in Columbus, Ohio. At that time, the station did not own the broadcast rights to Ohio State football and basketball games, so I was basically flying blind trying to keep the show afloat against our chief rival, which at that time DID own the OSU rights. Producing was not my strength, but I feel I did a good job. My goal upon entering broadcasting was to be a play-by-play announcer. After 11 years at WBNS (which included becoming a member of our Ohio State on-air broadcast team, we had since acquired the rights), I was getting a little anxious for a play-by-play shot. I filled in on occasion on our coverage of Columbus Clippers baseball, did local cable-TV High School games, and did some free-lance radio work for schools coming to games at Ohio State. Sometimes you have to go backwards in order to move forward. Don’t be afraid to take that chance. In late July of 1992, while searching the newspaper want-ads (yes, the want-ads. That was one way to look for a job before the Internet) I noticed an ad for an opening at WIZE-AM in Springfield, Ohio. The station had been the radio home for Division III power Wittenberg University athletics for years, and had decided to make a change in the sports director position. I quickly mailed (again, it’s 1992) my cassette tape and resume to the program director, Mike Manley. Three weeks later I was offered, and accepted, the position. Many of my friends and family questioned my sanity for leaving the “glamour” of Ohio State games for the relative obscurity of Division III athletics. I, however, was ecstatic. Not only was I calling Wittenberg games, but I also had a full slate of high school football and basketball games to call as well. On average, I did the play-by-play on an estimated 75 to 100 events from any given September through May. This week, 25 years ago, I started that job. I am fully confident that without making that move, none of the things I have accomplished since — calling Ohio State football, men’s and women’s basketball, working for ESPN and FOX-TV, Arena Football League games, and so much more — would not have occurred without making that move. This business is all about timing and taking a risk. 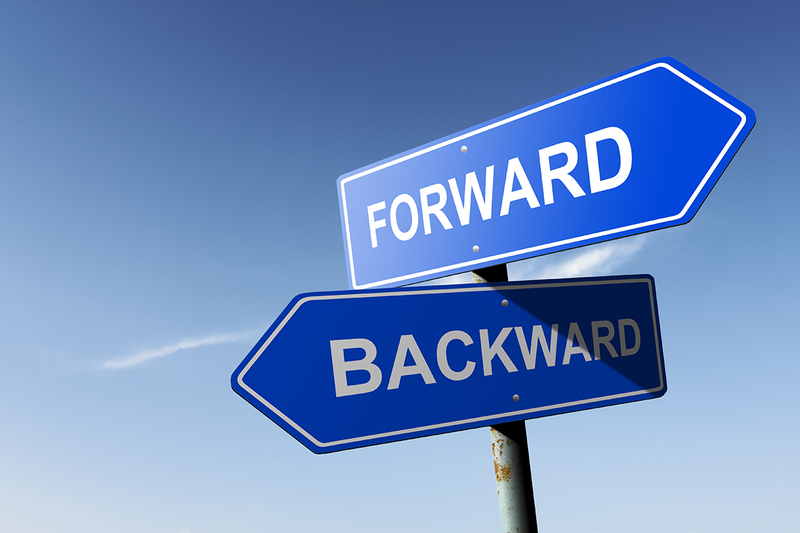 In some cases, like mine, you have to go backwards in order to move forward. Don’t be afraid to take that chance. Marty Bannister has been a part of the on-air broadcast team, or have performed the play-by-play, at three NCAA Division One National Championship football games, NCAA men’s and women’s basketball tournaments, Olympic Trial events, Triple AAA Minor League baseball, Arena League professional football, collegiate hockey, wrestling, soccer, softball, volleyball, and baseball. I hosted and produced sports talk and coaches call-in shows. Marty has been an STAA member since 2016. Read more of Marty’s guest posts.